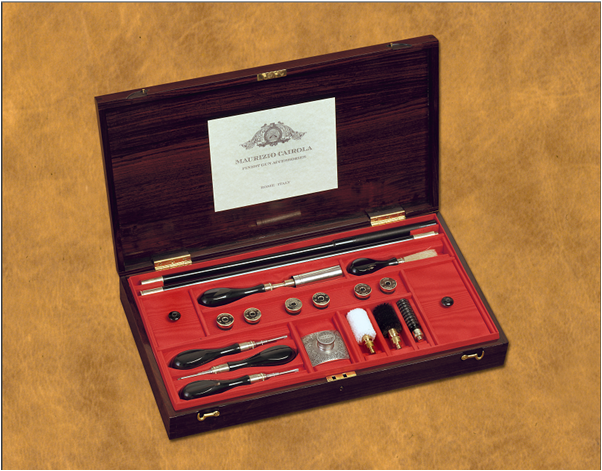 This special case, in collaboration with Ivo Fabbri Gunmakers, has been handcrafted to be equipment of the trio of guns made by Ivo Fabbri Gunmakers for His Majesty Juan Carlos I King of Spain. 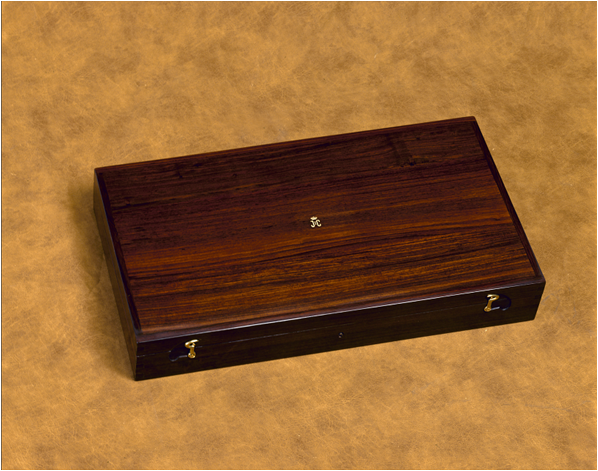 The rosewood case, hand polished and silk lined, keeps Madagascar ebony, buffalo horn and nickel silver accessories. A golden monogram is on the front. 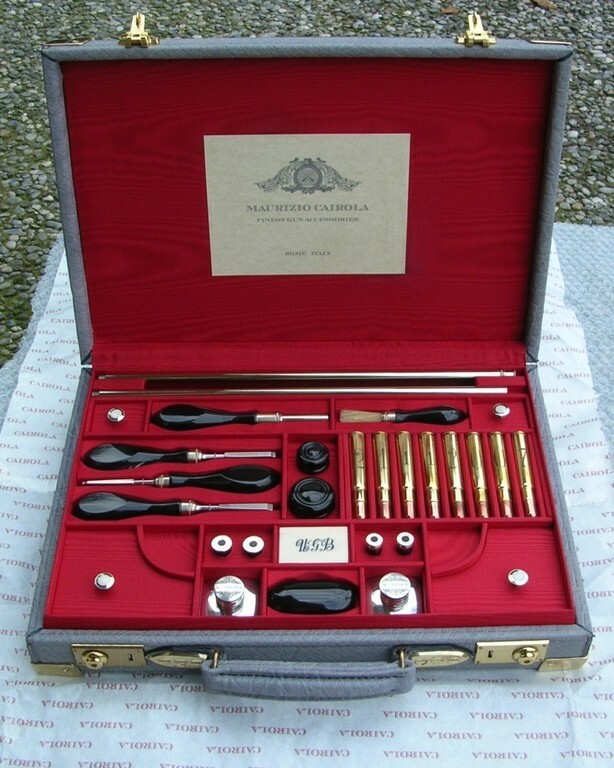 This accessories’ case has been handcrafted on the occasion of the seventieth birthday of Ugo Gussalli Beretta, Beretta’s President. The accessories are to mantain double rifles bore .470 N.E. and 375 H&H. 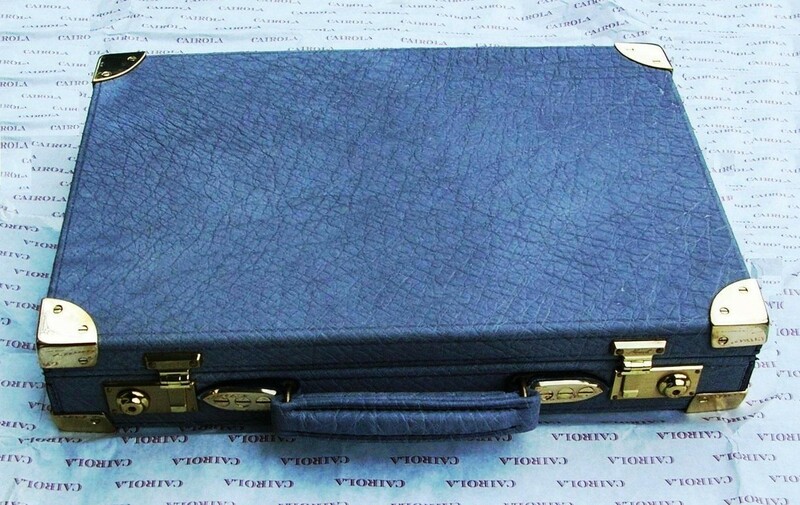 The elephant leather and silk lined case keeps buffalo horn and nickel silver accessories.